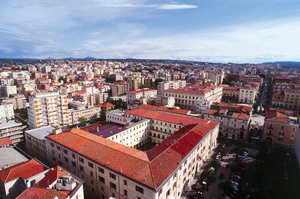 The "La Porta Accanto" B&B is in Via Antonio Gramsci 20 in the immediate vicinity of the city centre of Sassari. A little shopping centre with several shops and a supermarket is nearby. even to the outlying suburbs. and the seaport of Porto-Torres about 19 Km (12 miles).